On Wednesday, February 14, Parkland suffered a violent episode of mass shooting at the Stoneman Douglas High School depicted by 19-year-old Nikolas Cruz, who was a school’s former student. Carrying a rifle AR-15, the incident caused seventeen people to die and left fifteen injured. However, this episode was the fourteenth mass shooting to happen in a school in the US in 2018 alone and has been counted as one of the ten deadliest mass shootings in the country’s history. Different from previous episodes when the authorities have regretted they happened and offered their condolences and prayers, the Stoneman Douglas High School students have reacted fearlessly against the permanence of the status quo in regards to gun control. 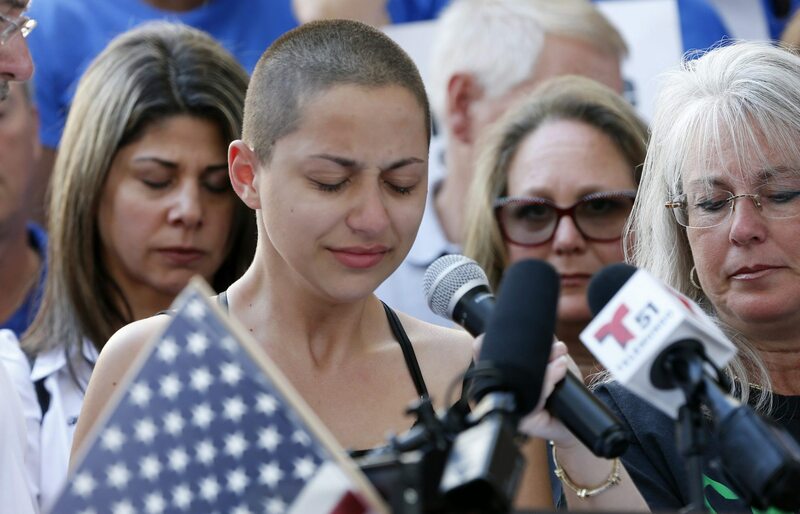 The #NeverAgain movement was headed by Emma González in an emotional and strong speech in front of the Broward County Courthouse, where she criticized President Trump and other politicians for accepting donations from the National Rifle Association (NRA). Furthermore, Emma embodies a new America, of Cuban descent and bisexual, as she declares. (Read more here.) 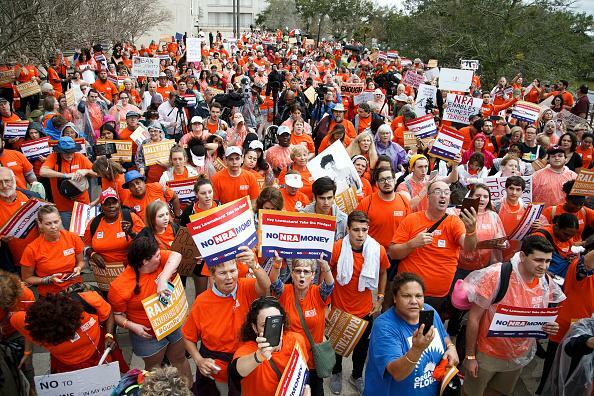 The movement has seized the opportunity to ask for real gun control measures. In response, the authorities have slipped with their alternatives. Trump argued there should be more psychiatric hospitals, attributing the episode to mental illness, despite it is inconclusive the percentage of mentally ill (1%) as perpetrators of gun related violence, but they are rather the victims. Then, he proposed teachers should be armed in order to defend students, in trade for a bonus. This suggests dealing with this phenomenon by adding more guns to the table, in order to “minimize the carnage” as weaponized schools argue. And, in little time, the security industry started promoting bulletproof vests for students as well as other pieces of similar equipment, leading to a surge in sales. Also in order to seize this event, the NRA launched a national promotional campaign paying visits to schools, when their spokesperson tried to dissuade people from thinking guns are not dangerous, arguing vulnerable people can defend themselves with guns, rather than being victims of them, as most cases. Following this line, the Oath Keepers, an extremist armed militia group, started organizing to “prevent” mass shootings. They are against control and argued they could defend schools standing guard outside from them. 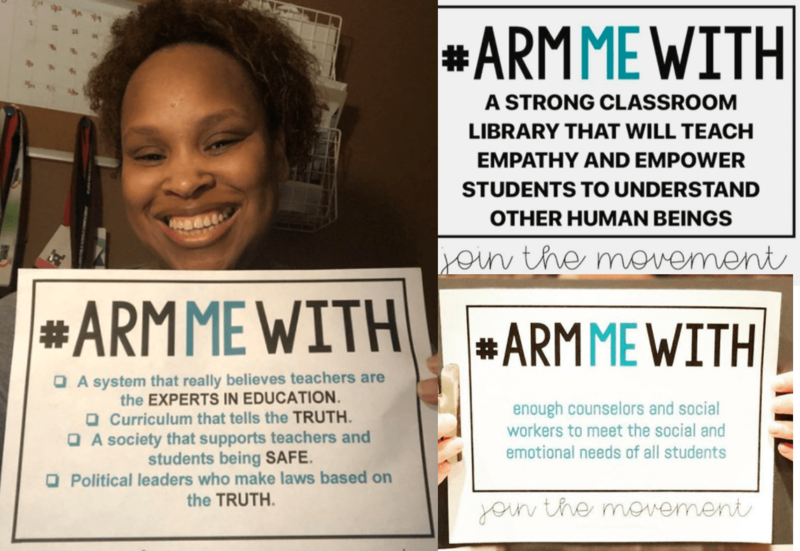 This possibility had a quick reaction from the teachers’ body igniting the #ArmMeWith movement when teachers expressed their real needs inside the classrooms, such as higher salaries, enough social workers and psychologists to attend to all students’ demands, libraries etc, none mentioned any guns. More recently, there has been some positive developments in regards to the gun control demands, many shops have complied to adapting to stricter rules and even President Trump has declared support for gun control measures, by improving the background check system, without exempting his support for the Second Amendment. This prompted an emergency meeting with the NRA. Another positive outcome was the NPR/Ipsos recently released poll. The study shares evidence that the support of 74% for the second amendment – the right to owning guns – remains intact in comparison to 2017. In comparison, however, gun control has rocketed as one of the most worrying country’s issues, surging from 27 to 37%. Almost all Americans (94%) support requiring background checks for all gun buyers, more than 8 in 10 (82%) favor raising the legal age to purchase a gun to 21, and 59% oppose training teachers to carry guns in schools and see it as the least effective way to reduce gun violence in schools. However, despite all this, we should not ignore former studies that indicate the root causes to this repetitive phenomenon, that cast a light on how this revolves around gender asymmetry, power relations and masculinities, as 98% of shooters are male and most are white, as studies demonstrate. America’s Gun Violence Problem Is a Symptom of Toxic Masculinity – Them.